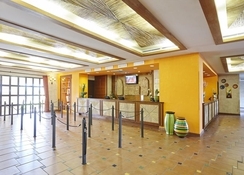 The All-Inclusive PortAventura Hotel El Paso exudes the atmosphere of a real hacienda of colonial Mexico, perfect for families and guests looking for All-Inclusive service. Lie down and relax beside the enormous swimming pool where you will find a sunken pirate ship, providing hours of water fun for the kids. Pleasantly unwind on loungers whilst soaking up all the excitement of this hotel situated only minutes from the gates of PortAventura Park and the Aquatic Park. 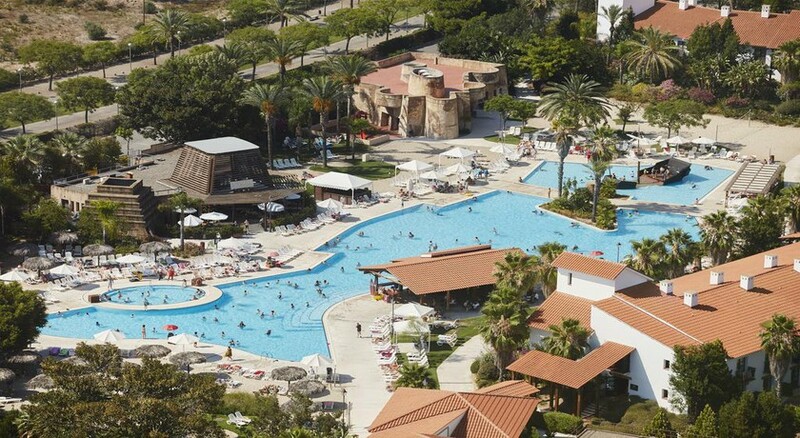 PortAventura El Paso is a popular choice with holidaymakers looking for a good standard of accommodation, with plenty to keep guests entertained both on site and in the local area. Just 10 minutes from Salou town centre by car and 1 hour to Barcelona. Getting to the hotel: Reus Airport is 8 km from the PortAventura Hotel El Paso. 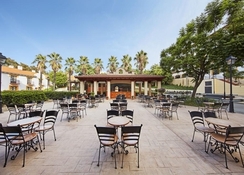 Location tips: Located within the PortAventura resort near Salou, this 4 Star hotel brings guests closer to the beauty of Mexico with its beautiful decor, spectacular gardens and the friendly treatment of its people. 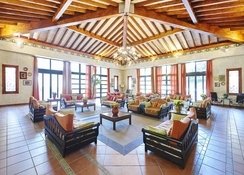 Food, drink and entertainment: All inclusive hotel. 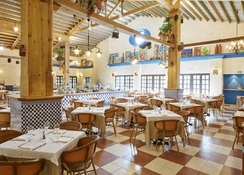 PortAventura El Paso Hotel presents a wide range of cuisine offered by the various restaurants including Restaurant Mérida for all-day dining with different venues like al-fresco, an authentic Mexican home with a fireplace that welcomes you during your meal, and for the more daring - a dinner in the stables! 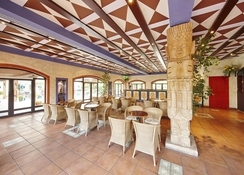 Guests can also enjoy Bar El Laberinto, or a la carte dining at Coyote, and the terrace snack bar of Club Maya. 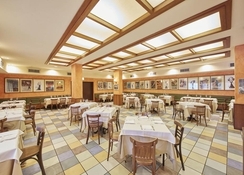 The all-included rate offers lunch and dinner (when the park is open at nights) in the hotel or in PortAventura Park , applicable to designated food outlets and subject to opening hours. Sports, games and activities: Vast pools, one with an old galleon sunk by pirates, full of fun surprises for the young and the old, central garden area, sun terraces, Mini Club. Free shuttle service to the Parks during hours of operation. For summer 2012, guests will receive unlimited entrance to PortAventura Theme Park throughout their stay (open from 30/03/12 until 04/11/12 inclusive). Entrance to the Portaventura Aquatic Park will be free for the following dates (26/05/12- 31/05/12 & 01/09/12-09/09/12). All other dates guests will receive a discount on the official entrance rates which can be purchased via reception (Portaventura Aquatic Park open from 26/05/12 to 09/09/12 inclusive). Additional: 24-hour reception, currency exchange, free safe deposit box free, Wi-Fi in the lobby, free parking. The PortAventura Hotel El Paso features 500 beautiful Mexican colonial-style standard rooms surrounded by a central area with gardens and pools of irresistible clear water. All rooms are air conditioned in the summer and heated in the winter so that nothing dares to interrupt your sleep. They also have Satellite TV, complete bathroom with hairdryer and telephone access. With a capacity of up to 4 people, including children, the rooms at the Hotel El Paso are ideal for family or in groups of friends. The shuttle service between Hotel Caribe and the parks will remain as usual.